Tin Shingle's Online Classes, called TuneUps, are our most popular resource and pack a dose of motivation for businesses, authors, artists and makers who need visibility for their brand. TuneUps Training Classes are open to the public to watch or participate in for free every Wednesday. TuneUps are recorded and added to Tin Shingle's collection of over 250 webinars categorized by subject to sharpen your PR and marketing skills. How Do I Get Unlimited Replays of All TuneUps? Level 3 Members and higher of Tin Shingle have access anytime and anywhere to all classes - just press play after you log in! Most classes also come with class notes for reviews, and some have extra special templates for your buzz building success. Where Do I Find The Replays of All Training TuneUp Classes? 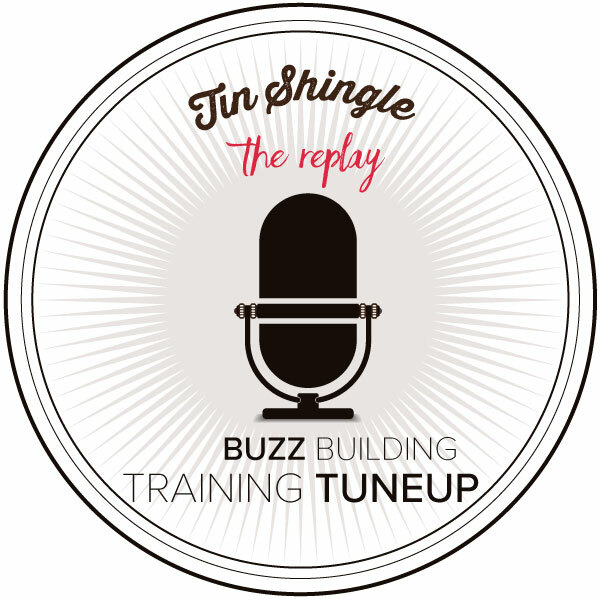 In Tin Shingle's TuneUp Classes Section - browse the variety by topics or PR Planning for the month. All classes are computer and phone friendly. Stream them at the computer or on your phone while out and about.